The Club Decks are covered outdoor spaces book-ending the Club Level of First Tennessee Park. 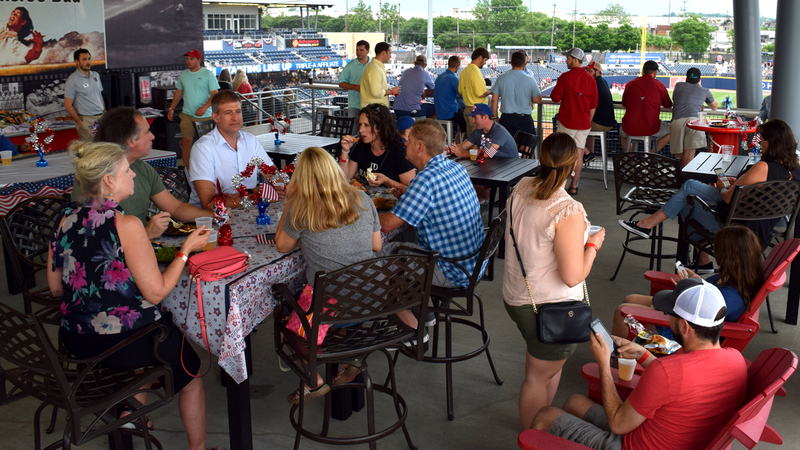 Enjoy an all-you-can-eat picnic with soda, water, & tea, as well as Budweiser and Bud Light draft beer, in one of these private party decks that hold 50-100 guests and feature some of the park's best views of the Nashville skyline. Located on the third-base side. Featuring direct views of downtown and the Guitar Scoreboard. Located on the first-base side. Featuring a unique vantage inside the Sounds dugout. Seating for the Club Decks is provided General Admission-style in the area's seats located at the front of the space. Additional Club Level seats available upon request at $65 each. 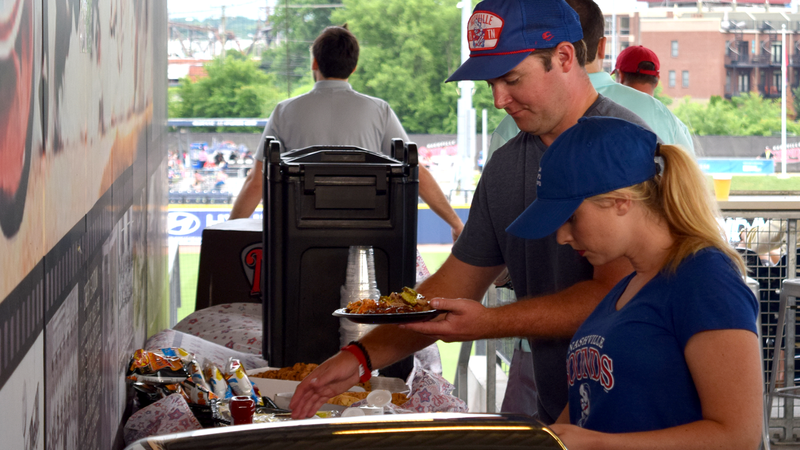 Food service begins when gates open (typically 1 hour before first pitch) and will last for 2 hours. Beer is available until last call. 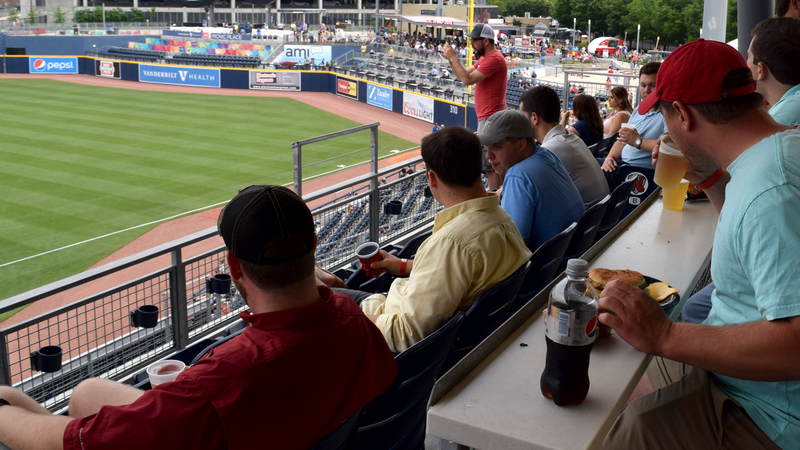 Club Deck ticket holders are granted exclusive access to the Brauer Lounge (bar and social area) on the Club Level. Sales tax not reflected in area price.